CHASKA, Minn. (AP) -- The PGA of America is pleading with the raucous, rowdy crowd at Hazeltine National Golf Club to be respectful of all participants heading into the final day of the Ryder Cup. 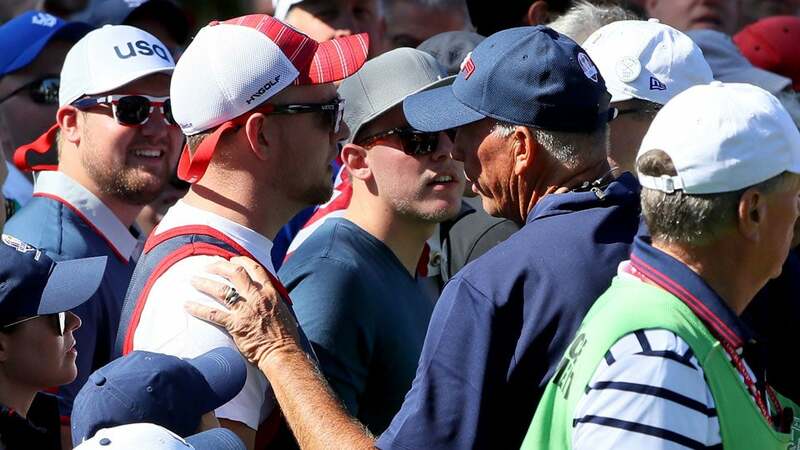 The PGA issued a statement Sunday saying security staff will remove any fans that "are disruptive in any way, including the use of vulgar or profane language directed at the players." Galleries of more than 50,000 have packed the golf course over the first two days of the event and have made their voices heard as they back the Americans in the biennial event. Europe's Rory McIlroy has been at the center of much of the heckling, and has responded forcefully after making big shots. The Americans lead the Europeans 9½ to 6½ heading into singles play, needing five points in the 12 matches to win for the first time since 2008.